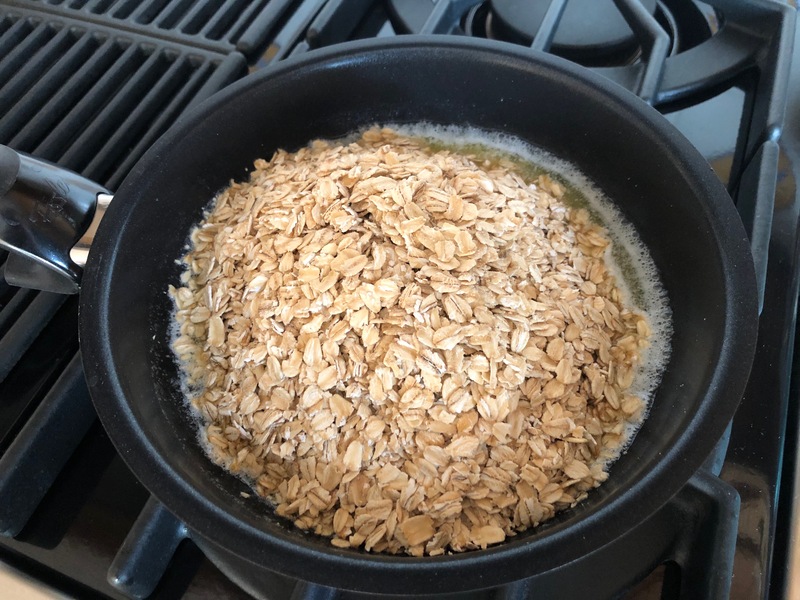 Traditional German Oatmeal Cookies are easy to prepare. The color of the cookies can be changed while adding one tablespoon of cocoa to the flour. I like them best without it. Melt the butter in a frying pan. 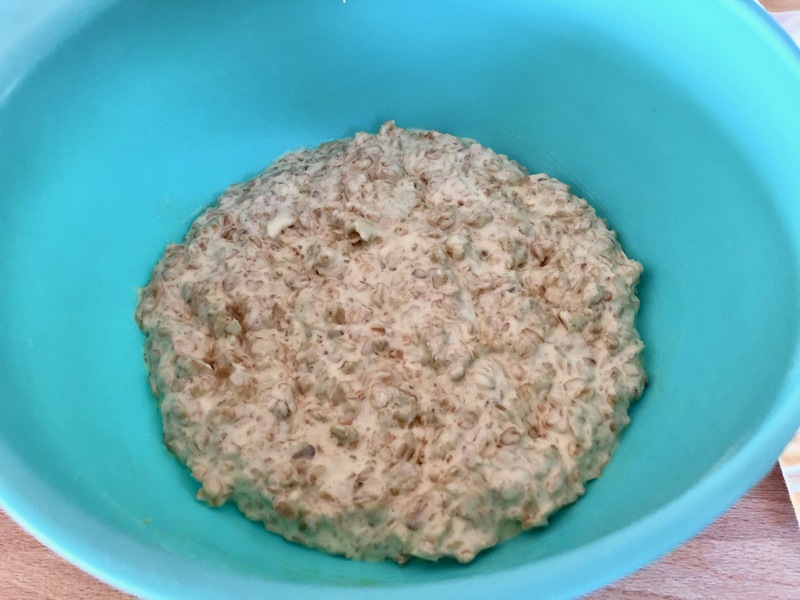 Add the oatmeal and mix until the oats are covered in butter. Remove the oats from the stove and let them cool down. Beat the eggs using a handheld electric mixer. Add the sugar to the eggs one tablespoon at the time and the almond extract. Mix the flour with the baking powder and, if used, the cocoa and sift into the bowl of the egg mixture. Beat until creamy. 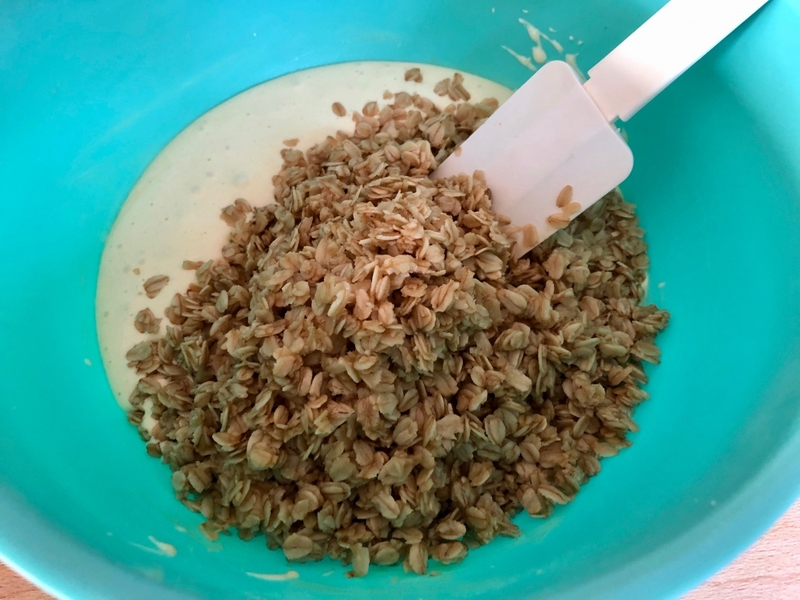 Add the butter soaked oats to the bowl and fold them with a cooking spoon or spatula into the batter. 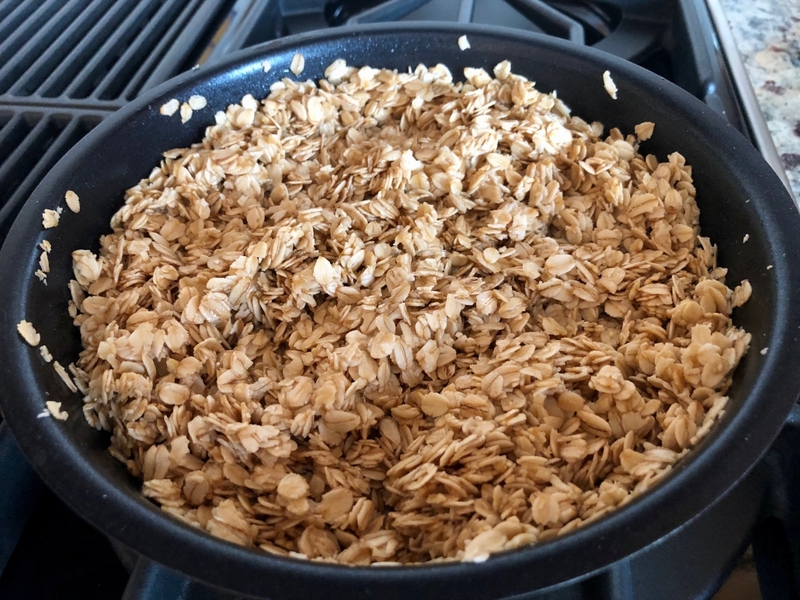 The oats should be completely covered with the batter. Cover a baking sheet with baking paper. To hold the paper in place, use some baking spray on the baking sheet before placing the paper. 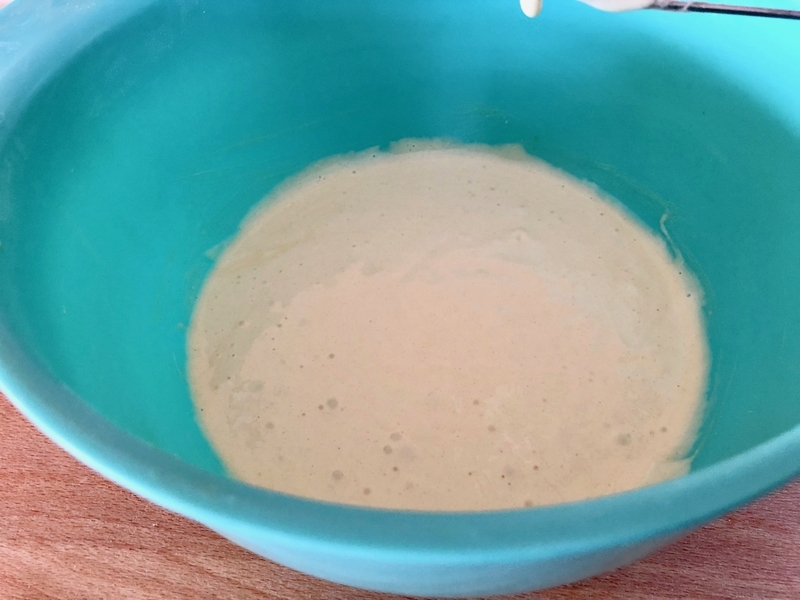 Place one heaped teaspoon of dough onto the baking sheet using a second teaspoon to slide the dough and flatten it slightly with the back of the spoon. Leave some space between the cookies. Preheat the oven to 175°C – 350°F and bake the cookies for 12-15 minutes on the middle roast. Let the Oatmeal Cookies cool down on a cooling rack. To try the German Hazelnut Macaroon Recipe click here, the Original Macaroons Recipe click here, and the German Cinnamon Star Cookies click here.